A 15-year-old football player at Concord's De La Salle High School accused of sexually assaulting a female student now faces felony charges, police said Thursday. 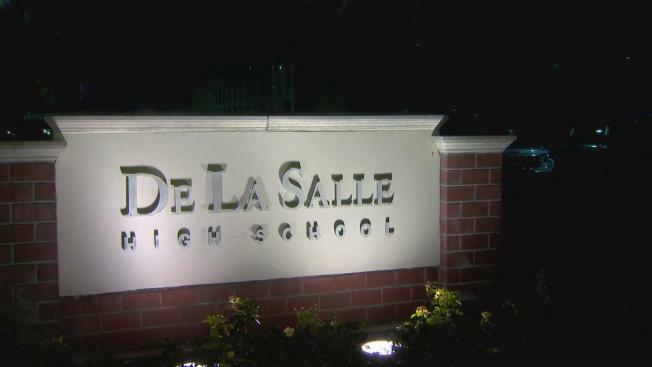 The alleged sexual assault occurred on the De La Salle campus after a Nov. 18 football game, according to police. The victim is a female student from from neighboring Carondelet High School. The suspect was a member of the school's freshman football squad this fall. The victim has also been identified as a freshman. The football player was arrested on Nov. 29, but was later released from custody. Investigators and the Contra Costa County District Attorney's Office examined the case and on Thursday announced evidence has led to felony sexual assault-related charges against the suspect. Some former students say this isn't the first time something like this has happened. Carondelet graduate Kelsey Stockwell says there's a history of some boys across the street at De La Salle and girls at her former school getting too close. "I don't think it's a situation that's exclusive to private schools, girls-only schools," she said. "I think it's something across the board in adolescents." Former De La Salle students also are concerned about the young women and how this will affect every male student. "I hope that his teammates hold him accountable for that," said Ryan Stockwell, a De La Salle graduate. "There are things that students do to make sure they don't see anyone else going down that track." The case will now be referred to juvenile court.